Simplicissimus (Simpleton) was founded in 1896. 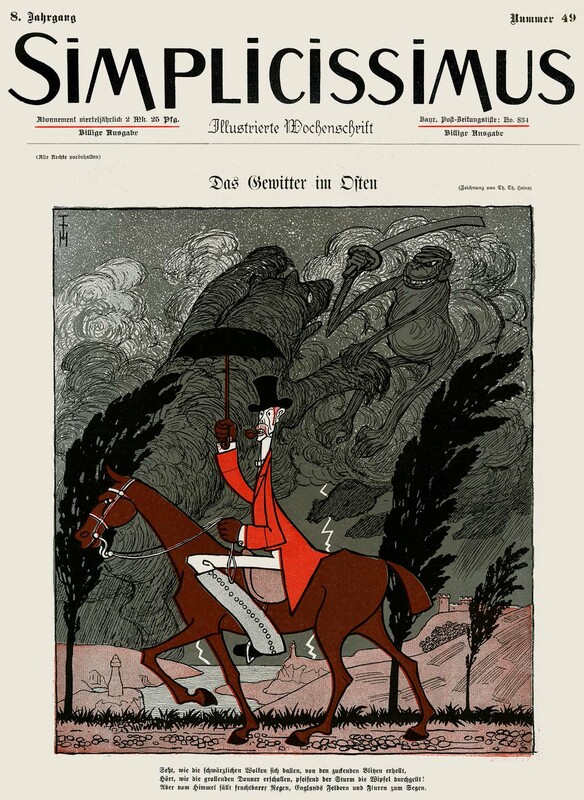 It was the most audacious and daring caricature magazine of its day, lampooning the stiffness of officers of the military, religion, class divisions, loose social morals and inevitably, powerful political leaders. Its reckless determination to offend destined it for trouble, and it didn’t take long. 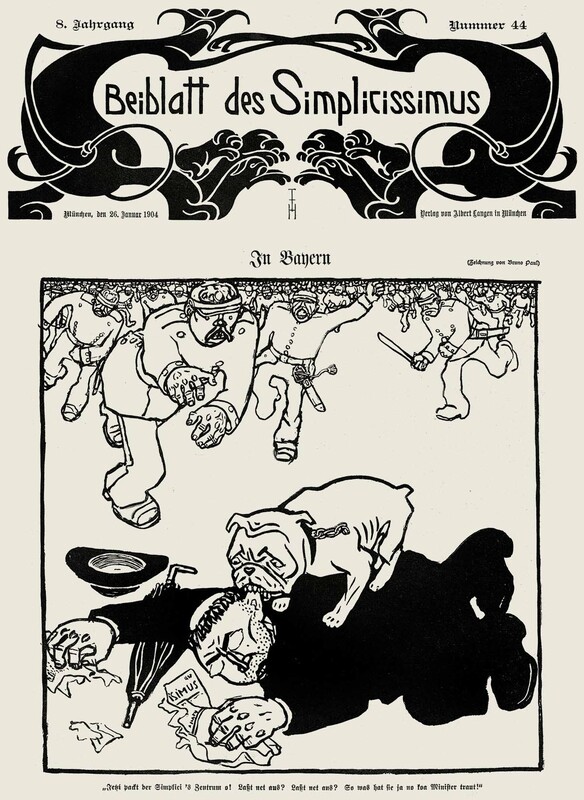 In 1898 Kaiser Wilhelm objected to a caricature of himself on the cover of Simplicissimus. He shut down the magazine, forced its publisher to flee to Switzerland, and threw the cartoonist, Theodor Heine in jail. 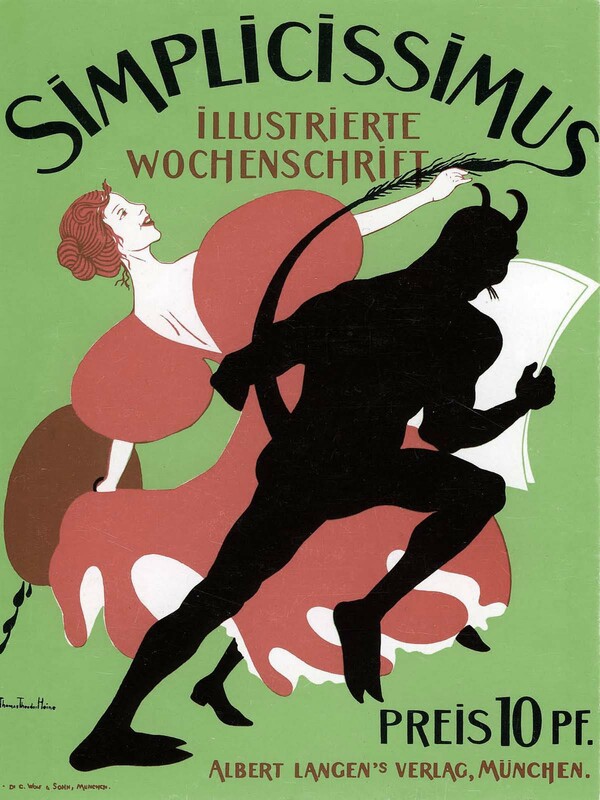 Like a phoenix, Simplicissimus soon sprang up again, but in 1906 its editor Ludwig Thoma was convicted of attacking the church and was also jailed for a time. It continued to have legal troubles with the government and religious leaders throughout its many decades in publication, but these troubles only served to increase the circulation. Based in Munich, the staff of Simplicissimus included some of the best draftsmen and most forward thinking illustrators of the day. Bruno Paul was one of the most recognizable of the magazine’s artists. He was one of the founders of the Jugendstil movement and along with cartooning, he was an accomplished furniture designer and architect. Another brilliant contributor to Simplicissimus was Rudolf Wilke. 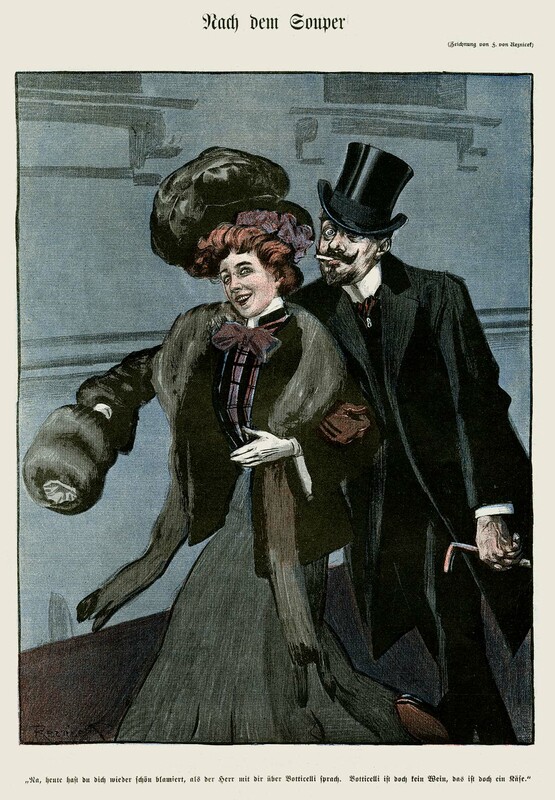 His caricatures were keenly observed and unique. The personalities lept off the page. 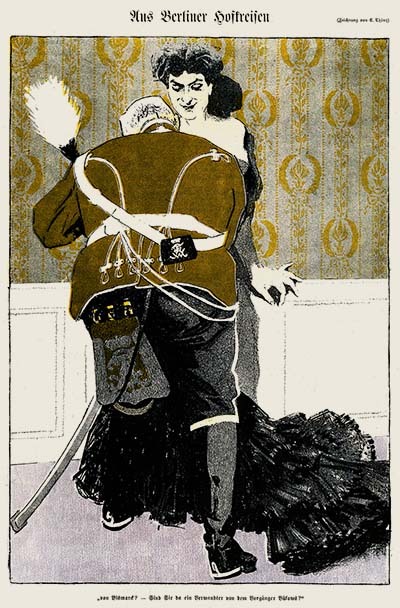 Ludwig Thoma specialized in satirizing life in in rural Bavaria; while Eduard Thöny and Ferdinand von Reznícek focused on military subjects and high society. Olaf Gulbransson was a Norwegian-born artist with a simple graphic line that belied the sophistication of his caricature. It was an amazing team of artists, and they produced thousands of incredible illustrations over the years on a tight weekly schedule. 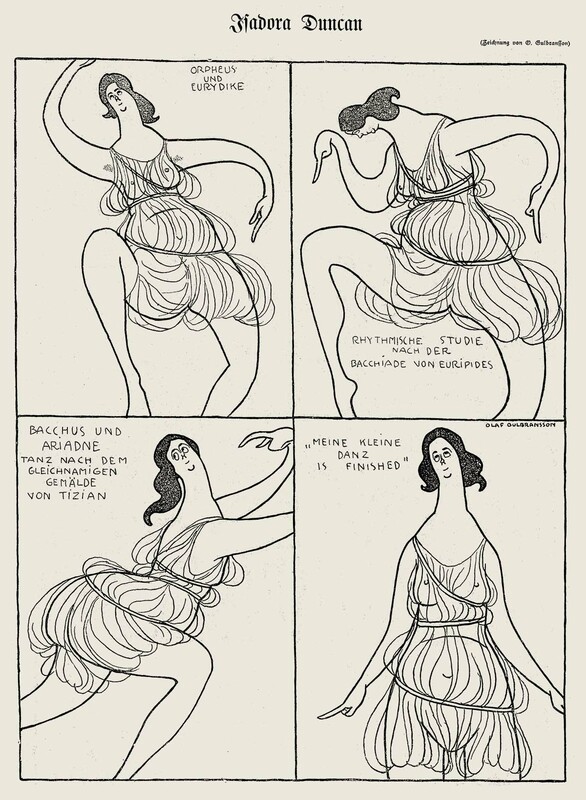 When the Nazis came to power in the mid-1930s, Simplicissimus was an obvious target for silencing. 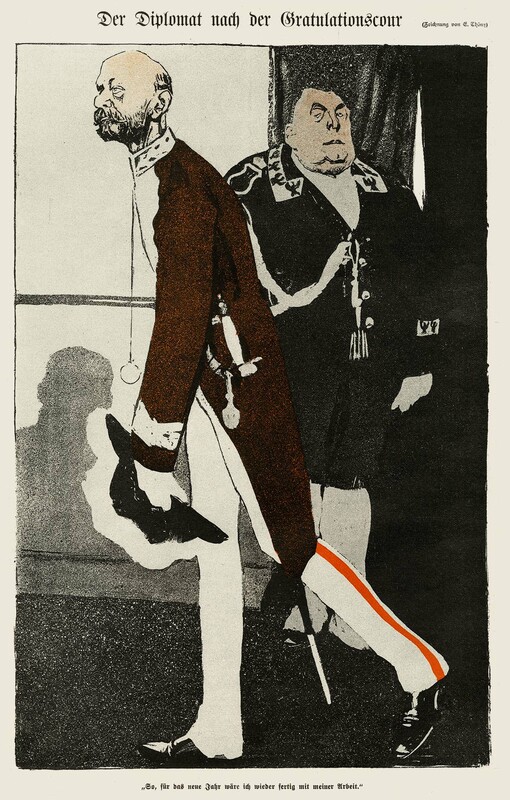 The Nazis despised everything that the magazine stood for, but they didn’t shut Simplicissimus down. They purged it of the Jewish employees and weeded the ranks of its most radical writers and artists. Thomas Heine, who was responsible for creating the iconic bulldog mascot was the first to go. They succeeded in blunting its impact considerably, a blow from which the magazine never recovered. 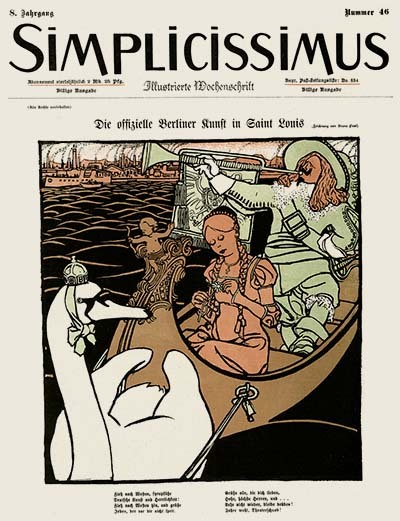 Simplicissimus ceased publication at the end of World War II, and was re-established for a while in the mid-1950s, but by that time it was pale shadow of its former self. This PDF e-book reproduces a little over two months worth of issues in their entirety. It is optimized for display on the iPad or printing two up with a cover on 8 1/2 by 11 inch paper. We hope you find this to be useful in your studies. This entry was posted on Thursday, August 30th, 2018 at 9:57 AM	and is filed under refpack.